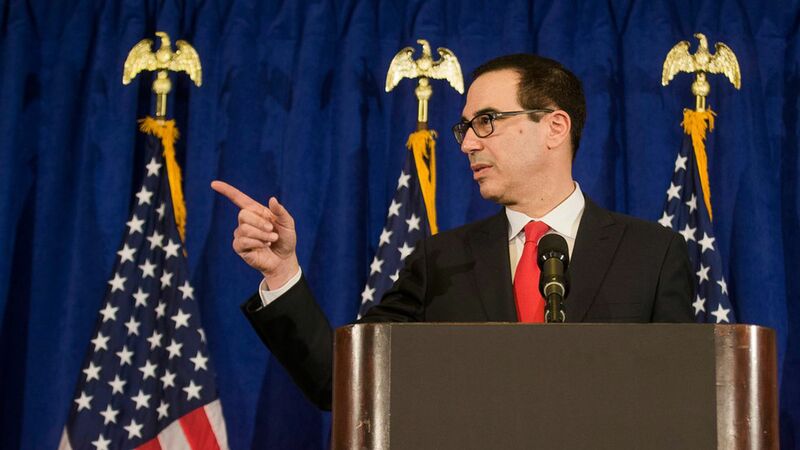 Treasury Secretary Steve Mnuchin conceded to Politico's Ben White that the tax plan he helped design cuts taxes on the wealthy, but said it's "very hard" to implement tax cuts without doing so. He also said the current Wall Street boom is thanks in part to the expectation that Congress will overhaul the tax code. If it fails, he warned, the market could tank. Mnuchin said he was aware nixing state and local tax deductions could hurt middle-class Americans and that Congress and the White House are "working on fixing that right now." He would not say which candidate Trump will select to run the Fed.